OH&S Forms allow the Local and UNA to maintain an accurate record of the OH&S incidents. It records a copy of what was filled out on the paper form. 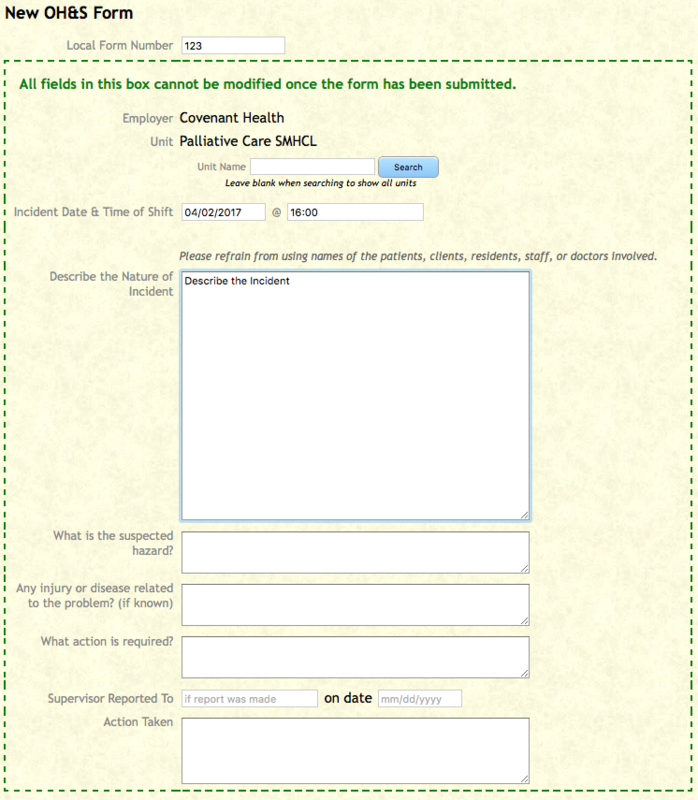 A list of the people having initially entered and updated the form appear at the top of the form. 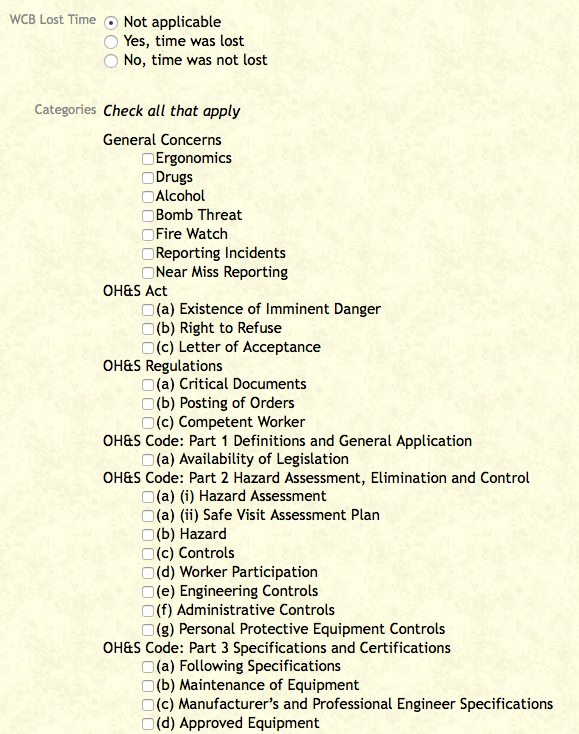 Click on the OH&S tab then click on File New OH&S Form. The OH&S Form will, Open. Complete the fields. Any fields completed within the green dotted box cannot be modified once the form has been saved. 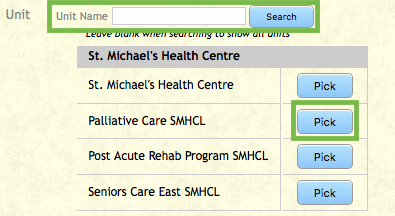 Unit Name – Search for a specific unit or leave it blank and click on Search to find all units for the local. Click Pick on the correct unit and Employer and Unit will automatically fill in. Complete the fields in the Green dotted box. Then check all the applicable boxes. Click Save when the information has been entered. 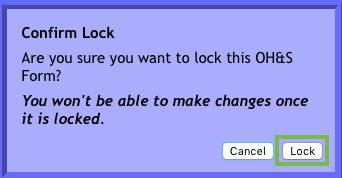 When the Close the OH&S Form has been checked off, a Confirm Lock message will appear click on Lock. This should only be completed once everything has been done. 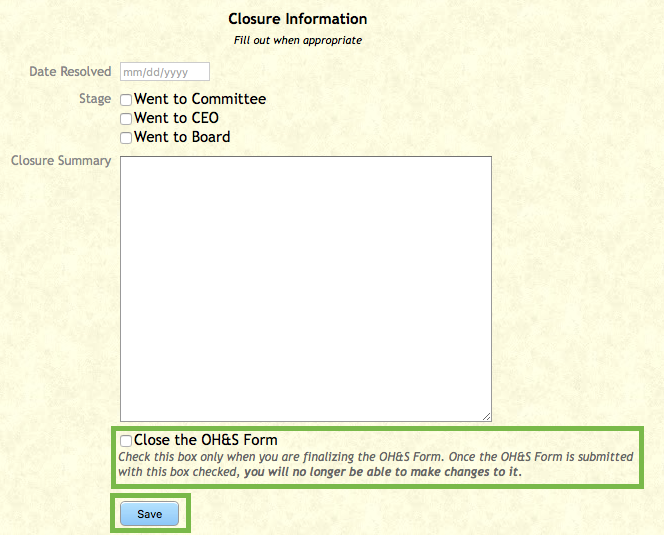 After Close the OH&S Form is checked off the form is no longer available for updating. The Form will now show in List.